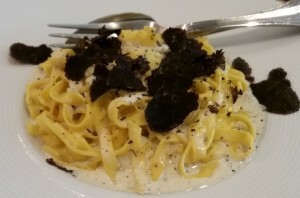 If you are Truffles Enthusiast like me, then this place should be on your must-list. I ordered salad, pasta and dessert. Since I didn’t want to over-do it, I only asked the salad to be without Truffles. What surprised me most about the restaurant is that even the dessert had Truffles. It was interesting combination. 🙂 I enjoyed their food. Honestly, what I liked more about the restaurant is that they sell Truffles and truffle-based products such as smoked salmon, sauces, pastas, oils, vinegars. I bought Truffle-based vinegar, mustard and olives and I tried them and they were so worth it. I would visit the restaurant again just to buy their products. You can see below pictures of some of the products they sell. 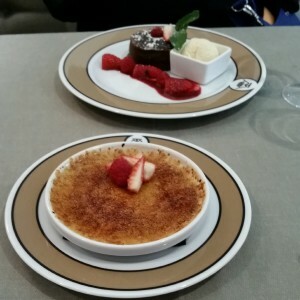 This entry was posted in Cooking, Food, shopping, Traveling and tagged La Maison de la truffe, Paris, Truffle. Bookmark the permalink.